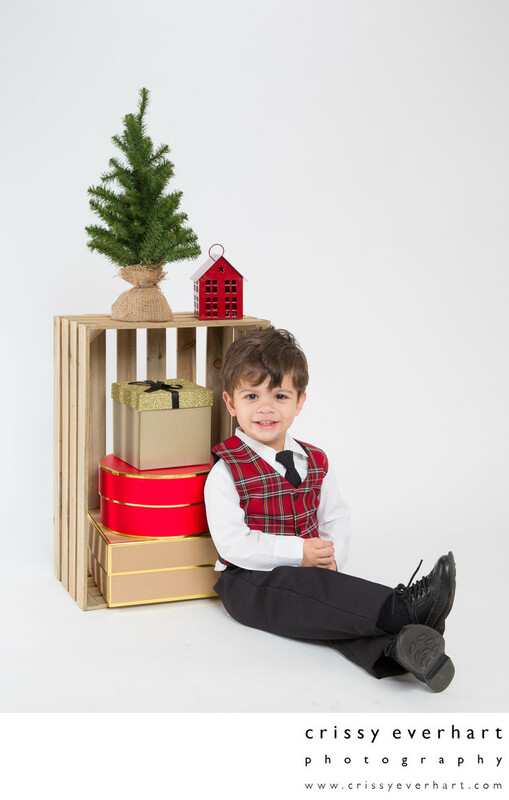 This two year old boy models for his holiday mini-session in front of some Christmas props. Holiday mini sessions are offered every year, and include a variety of holiday set-ups as well as some classic portraits without seasonal props. In this image, a small pine Christmas tree, red lantern house, and a few sparkly gift boxes are on a wooden crate, all on a white background. Location: 260 Spring Rd. Malvern, PA 19355.